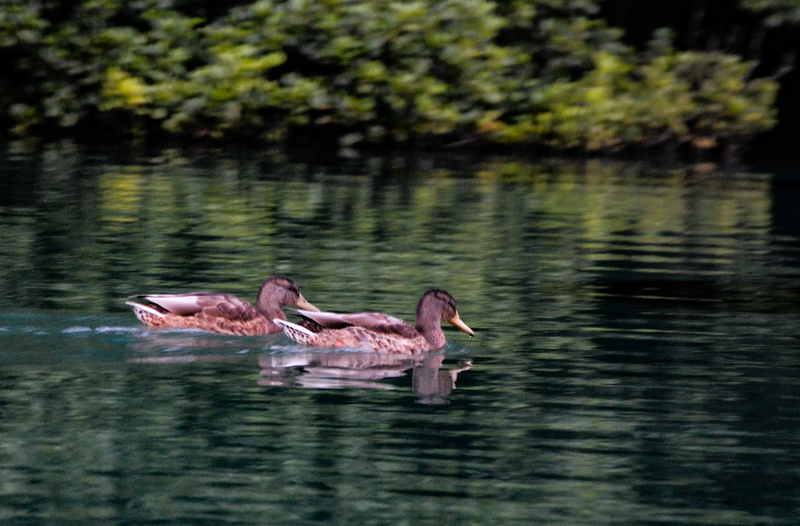 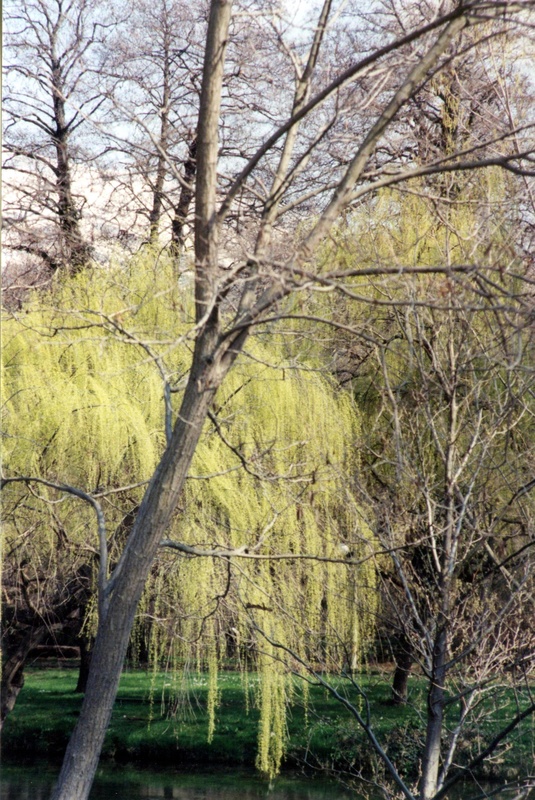 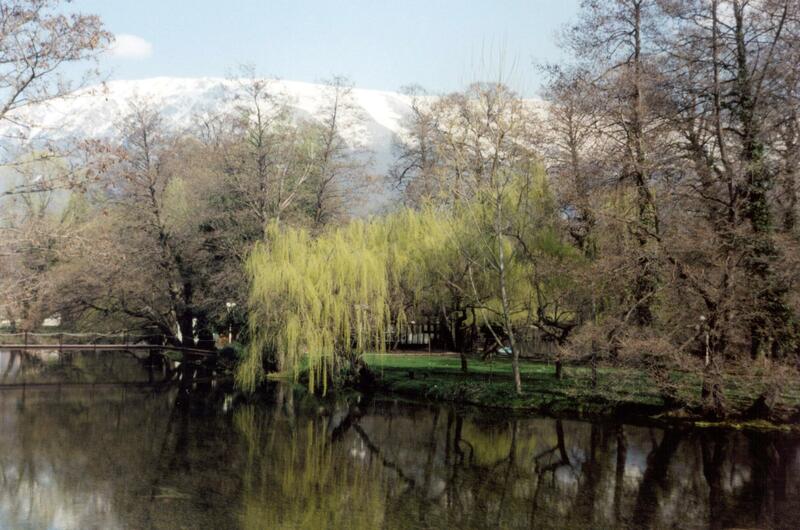 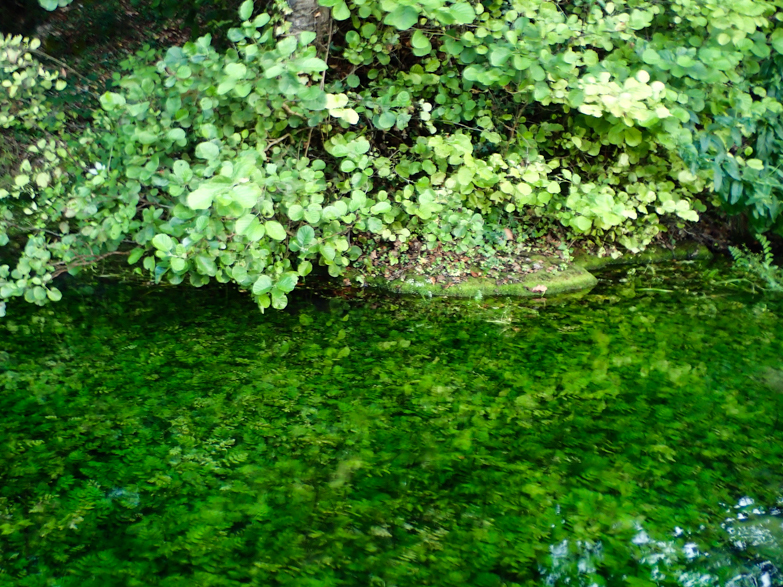 The source of the Crn Drim are these springs that are very close to the monastery of St. Naum on Lake Ohrid. 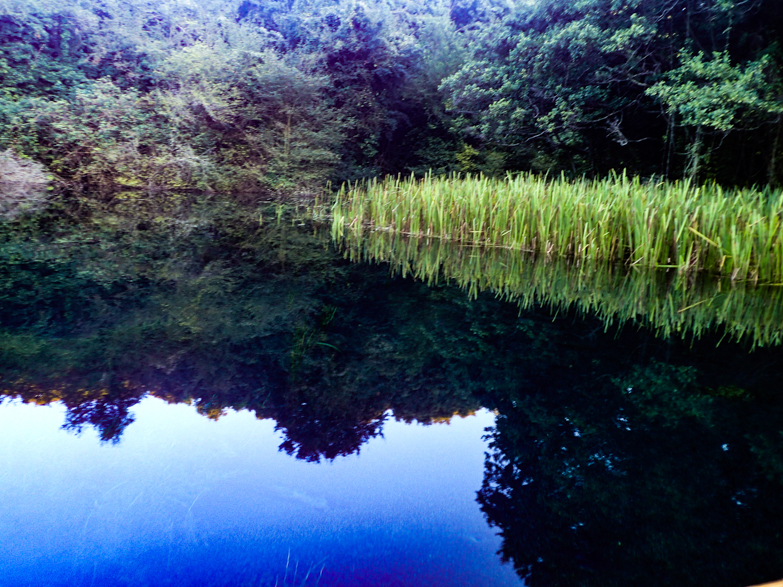 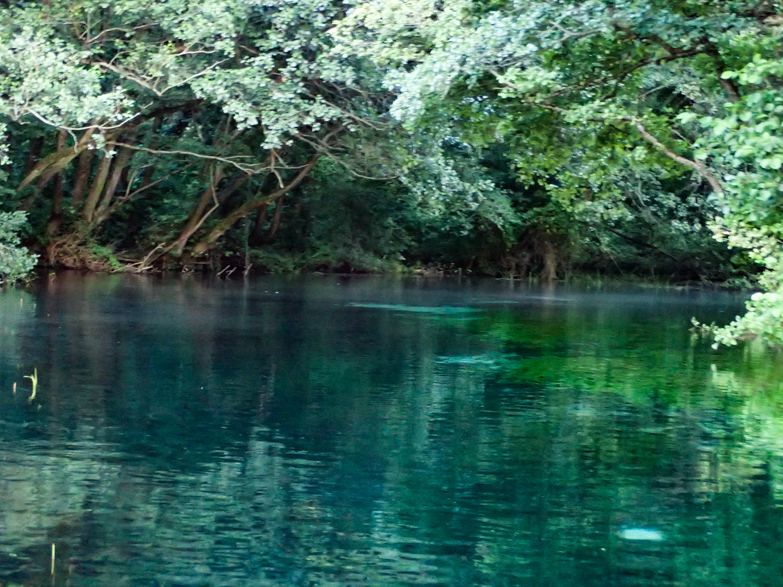 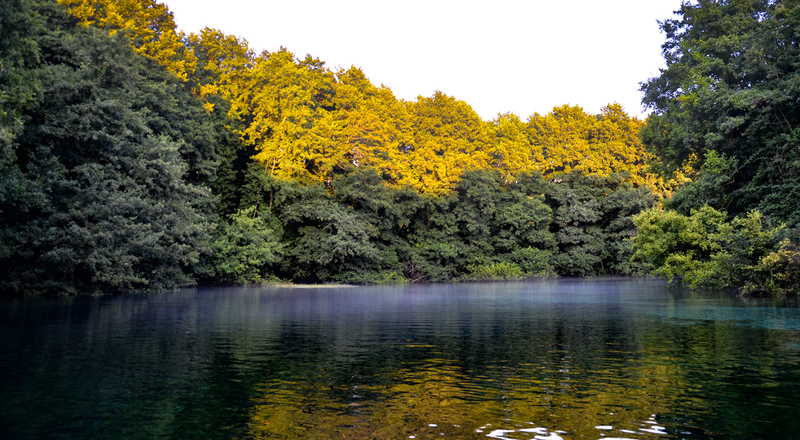 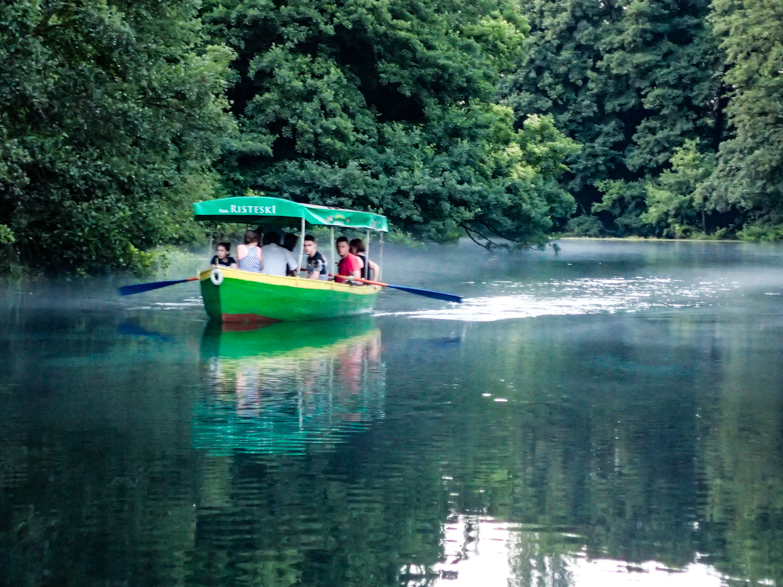 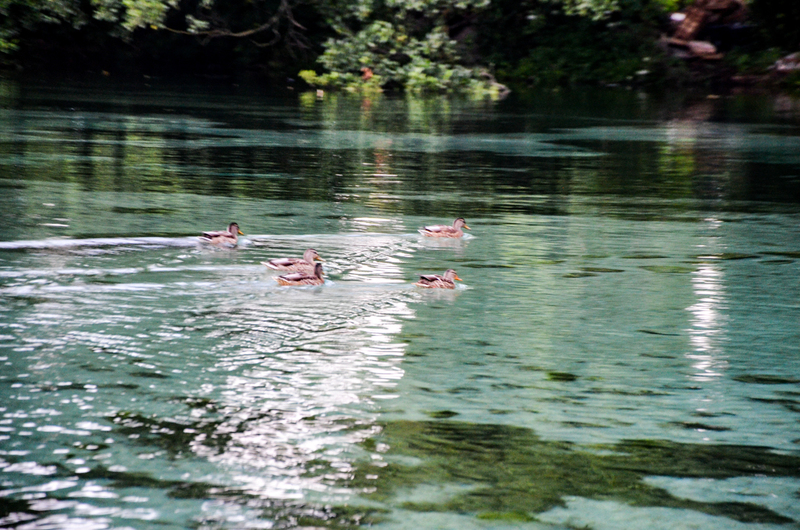 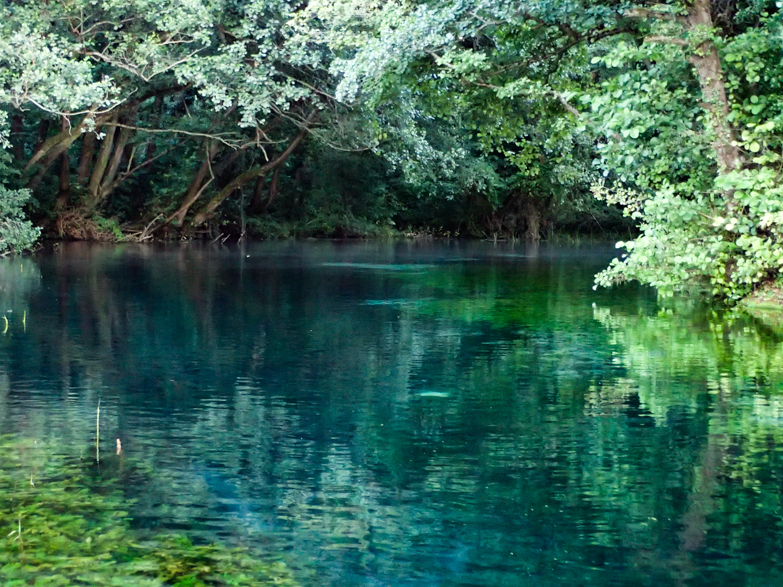 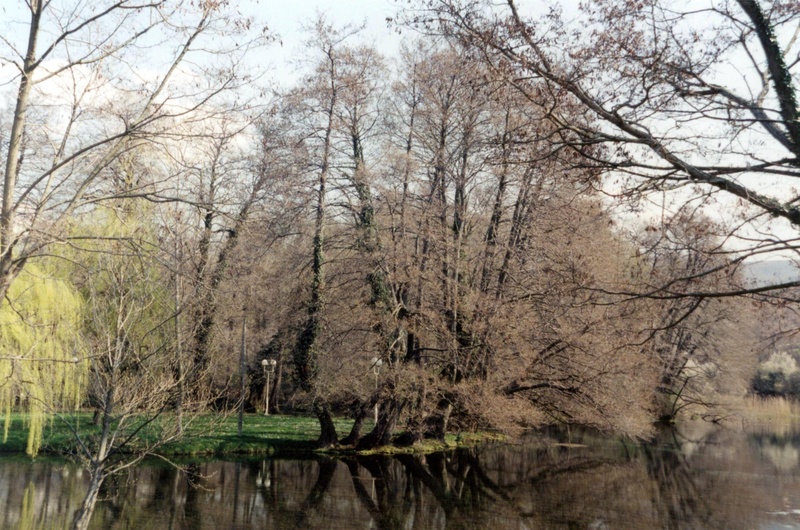 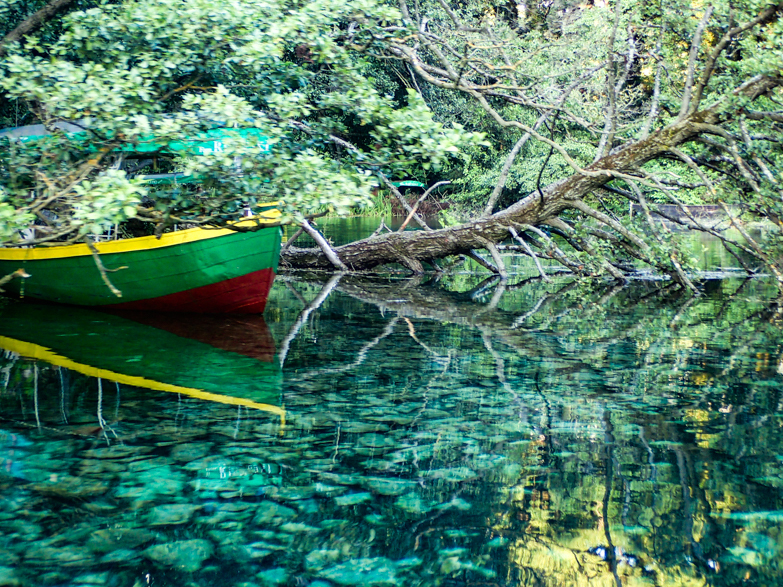 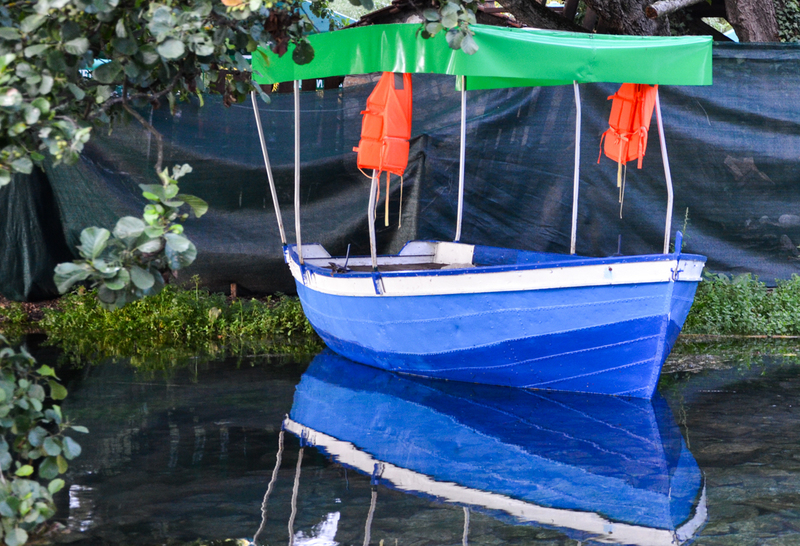 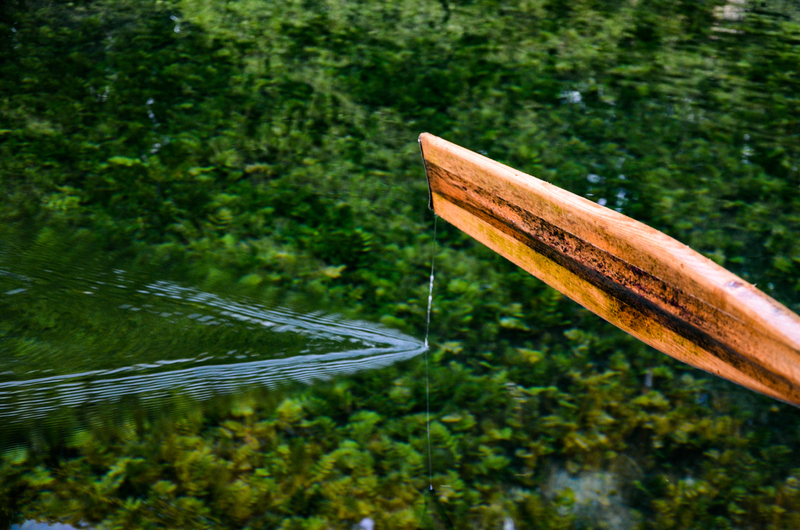 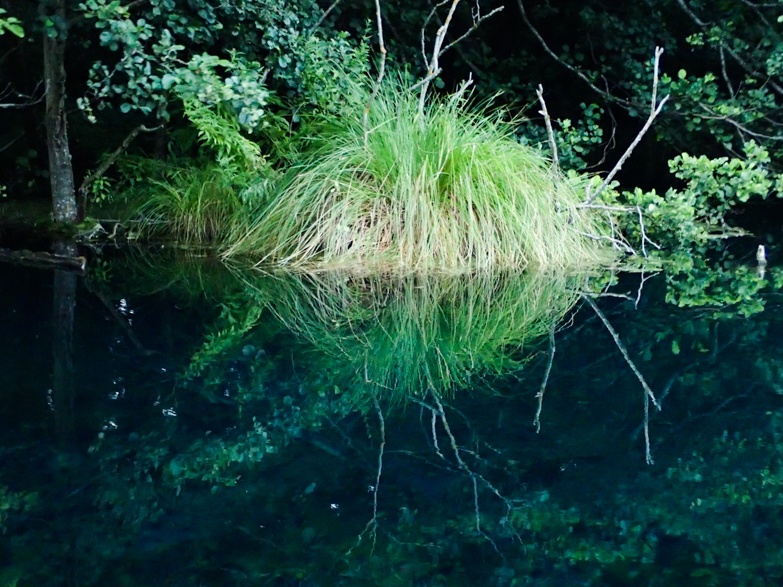 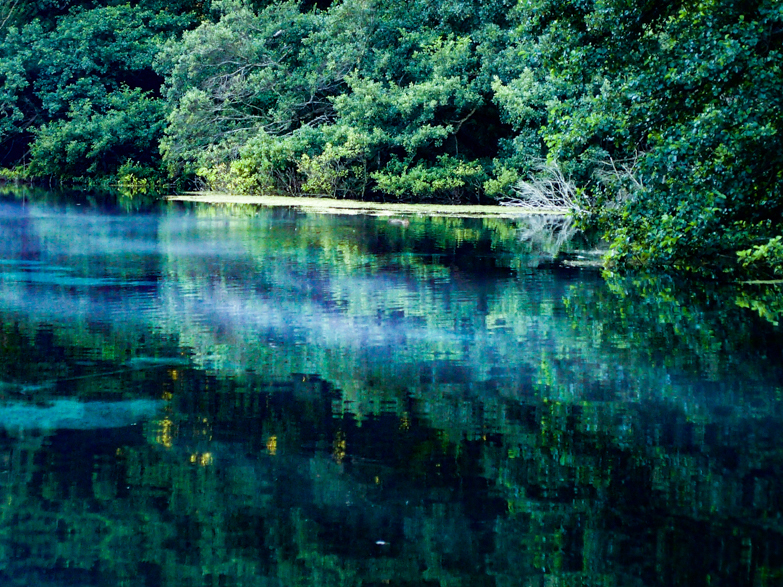 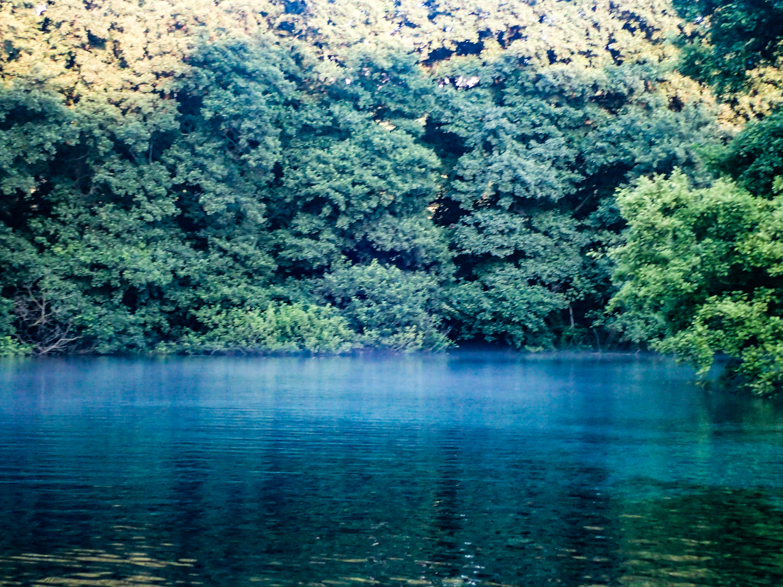 The springs are often referred to as the Springs of Sveti Naum. 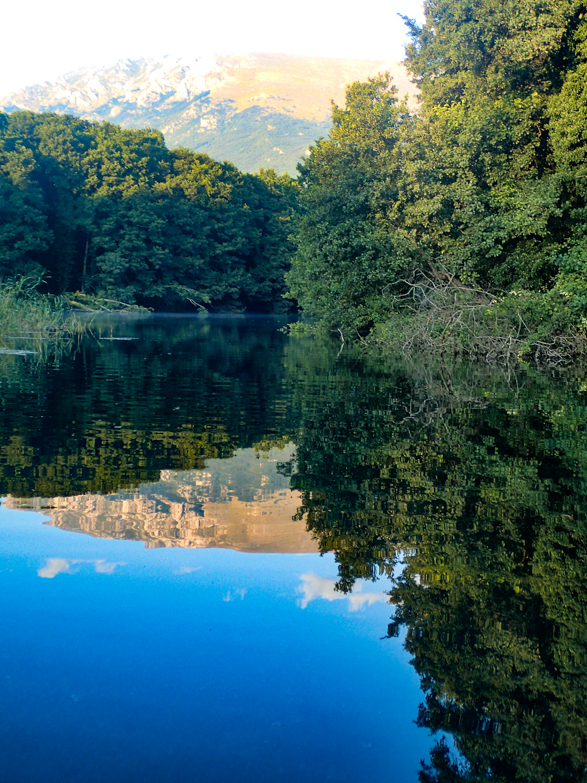 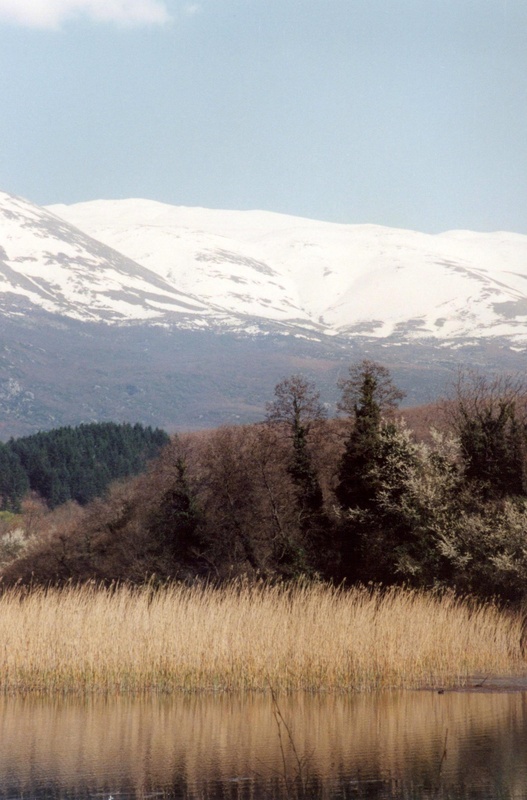 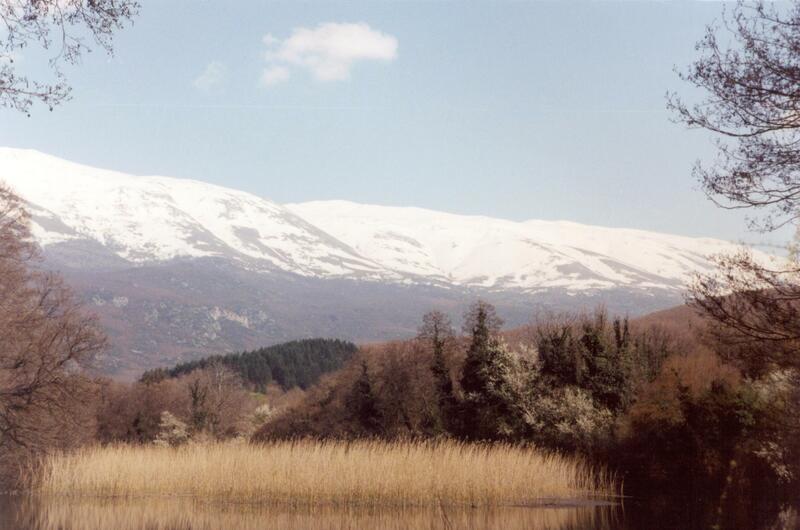 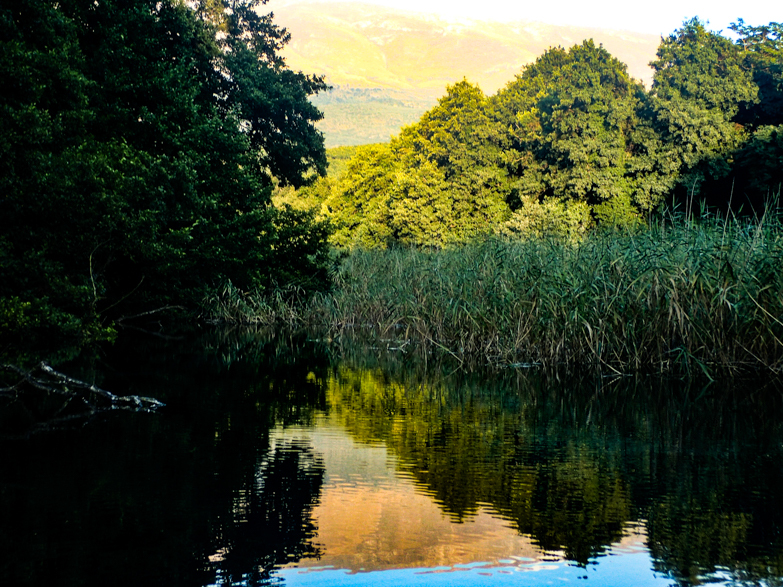 The water actually originates from Lake Prespa on the other side of Mount Galičica as an underground river and then bubble up near the Monastery of Sveti Naum just south of the village of Ljubanishta. 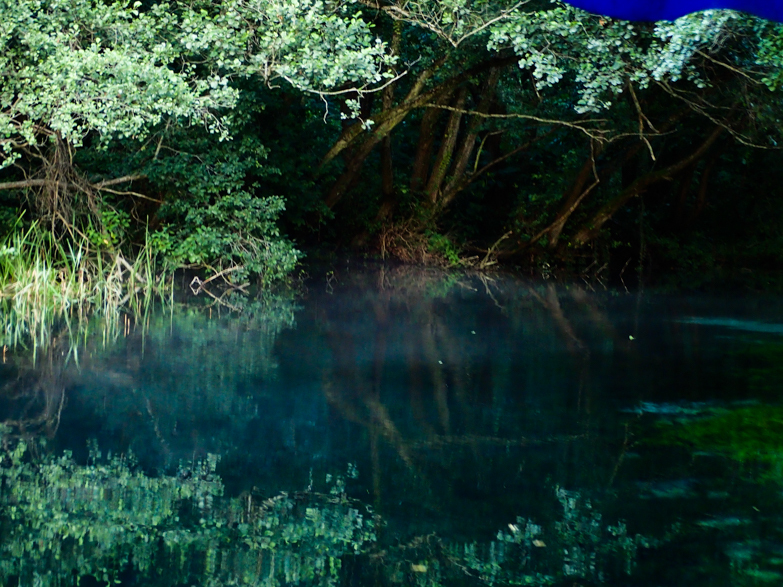 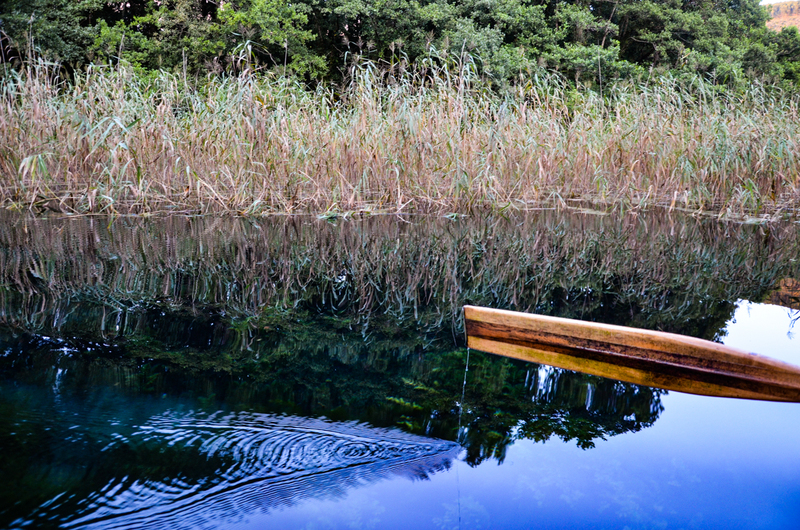 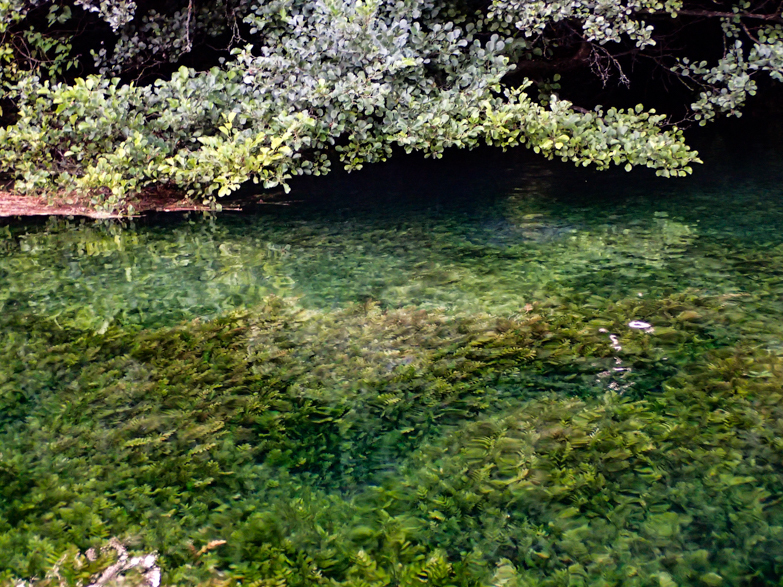 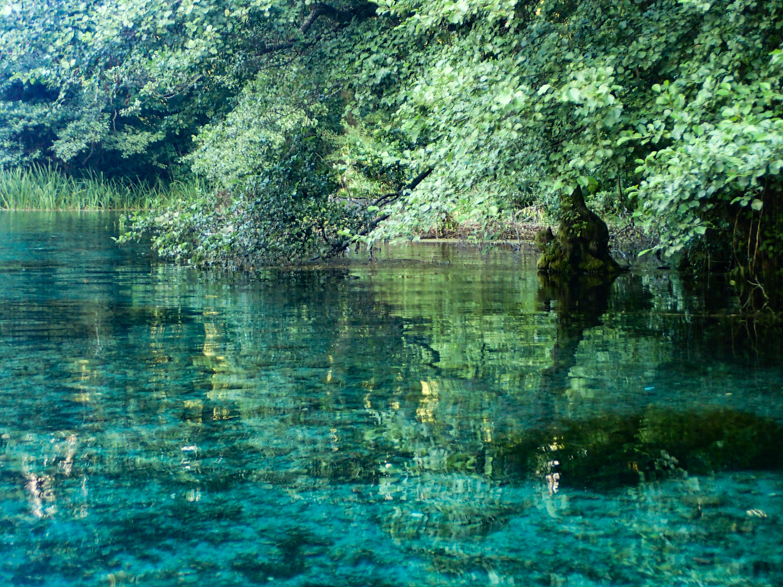 These springs form the river Black Dream and the river enters Lake Ohrid bisecting a popular beach and heads west until it exits the lake near Struga (Струга) and heads upwards to Debar (Дебар). 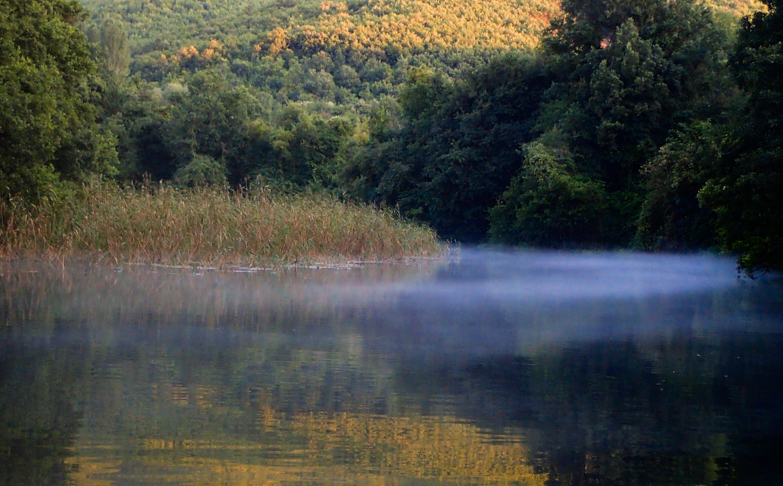 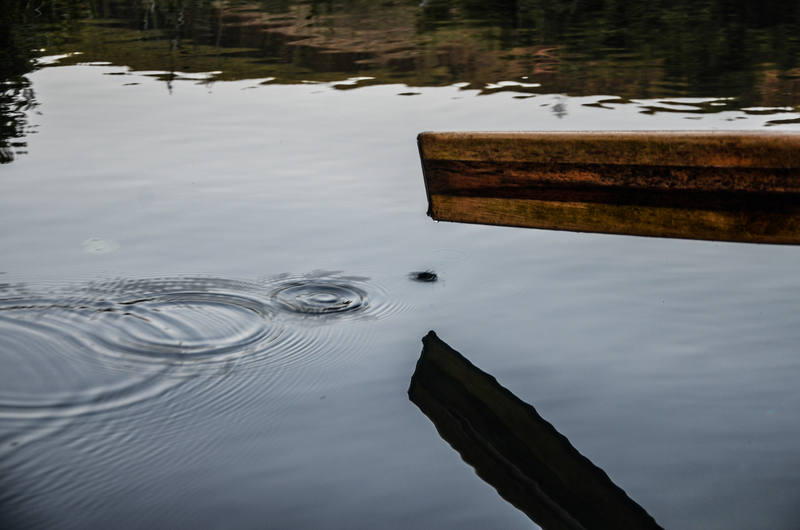 At Debar there is a hydroelectric plant with a dam that forms Lake Debar and is fed by the Black Dream. 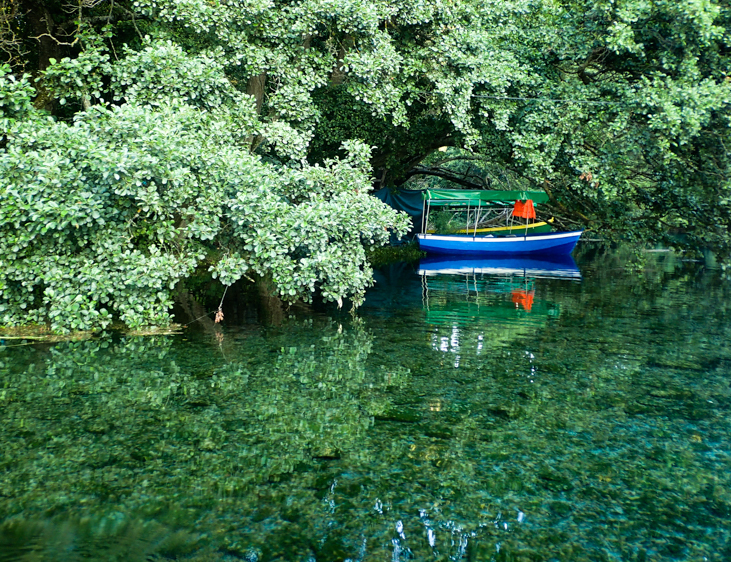 Just outside the entrance to the monastery compound you can rent a boat with a tour guide who paddle and give you a tour of the pristine waters and beautiful scenery. 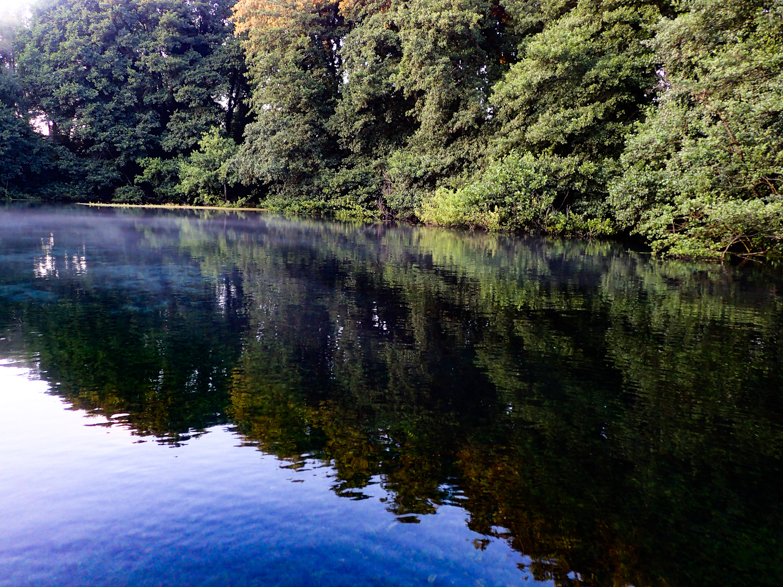 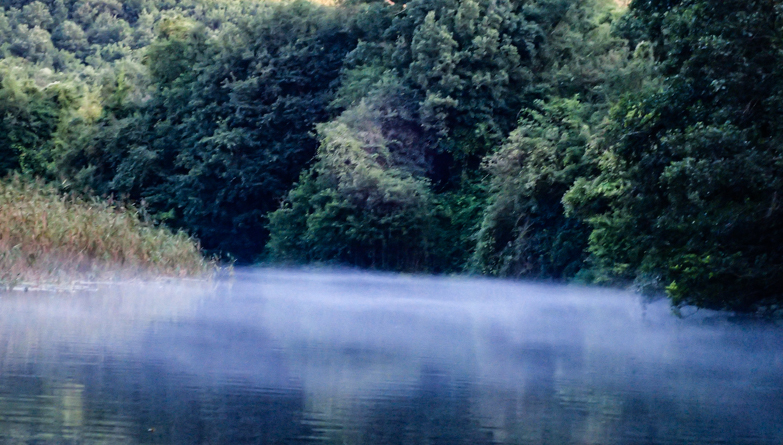 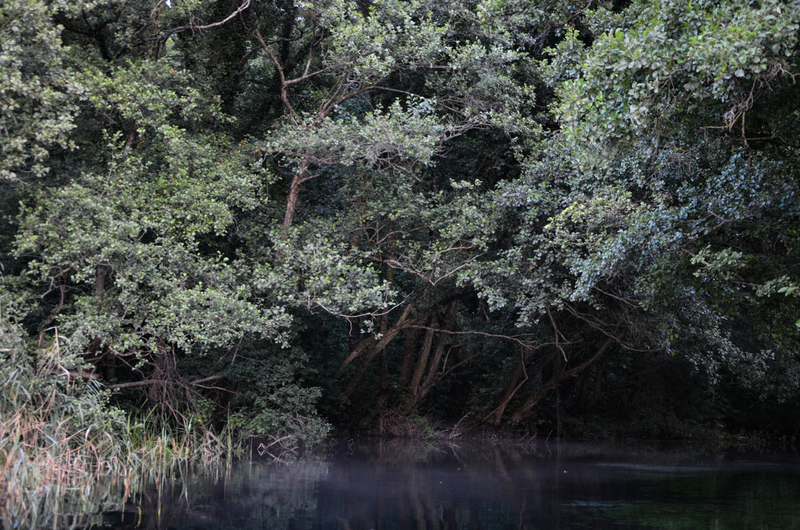 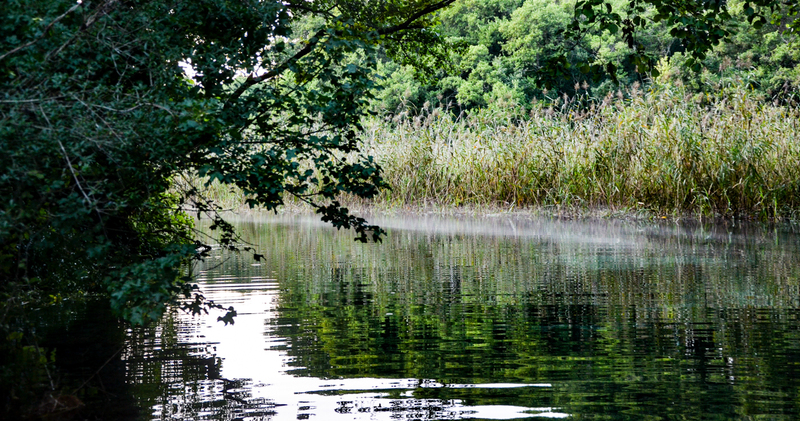 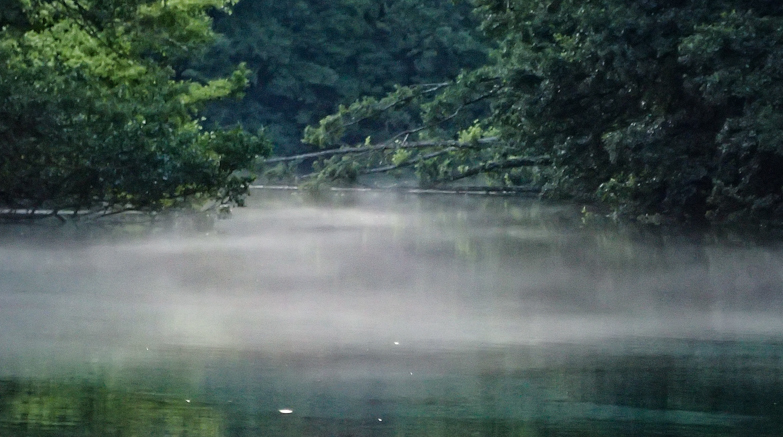 Be mindful to look out for the King Fishers as the birds will dart through the water to catch their meal. 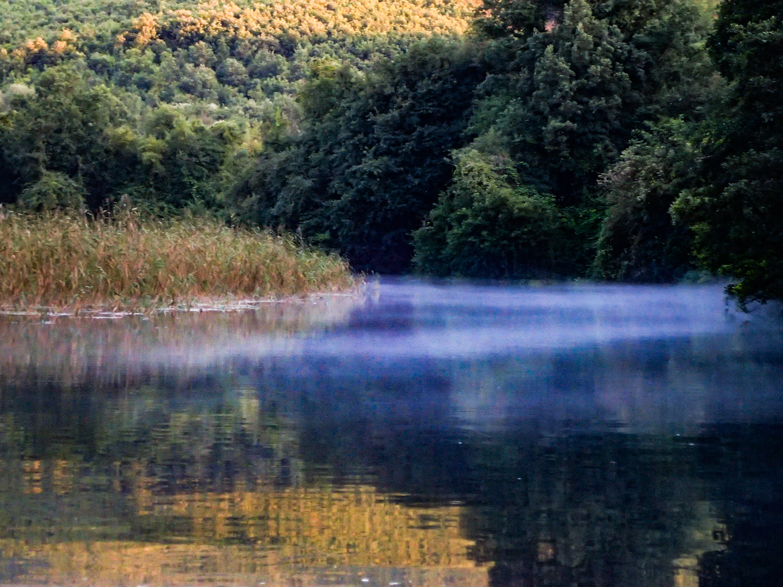 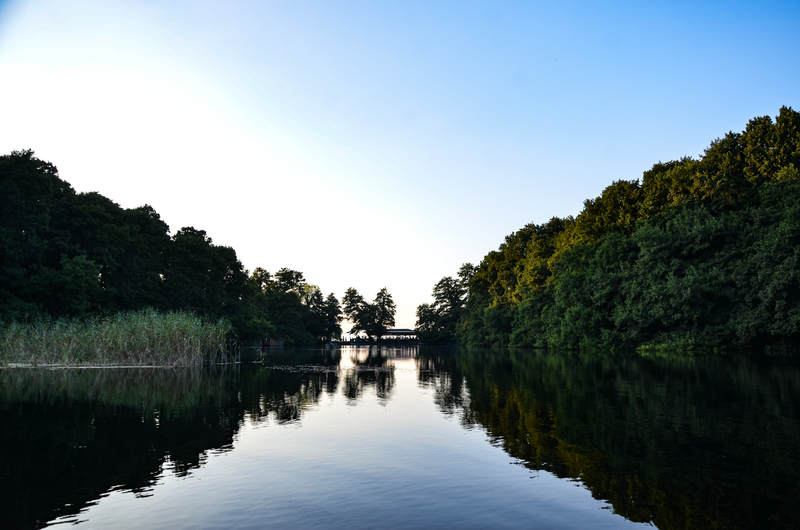 The river is also referred to as the Black Deer (Црн Дрин, Crn Drin) and the Black Drin. 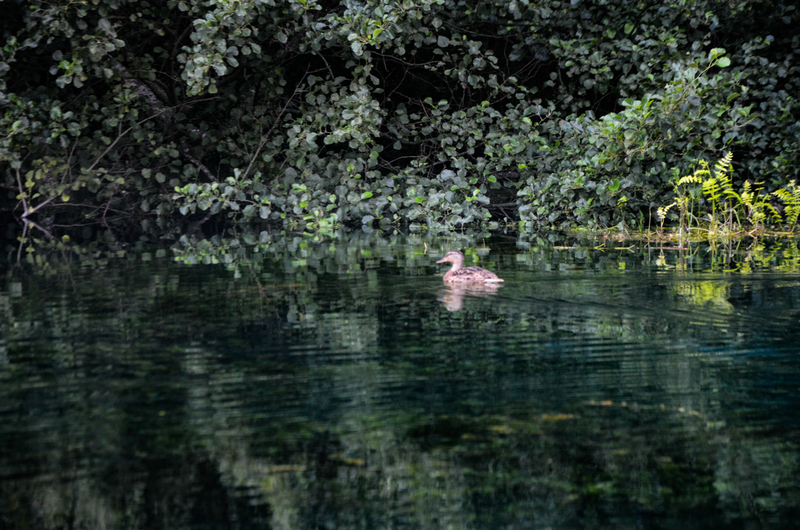 The pictures in the third gallery below begin near the source, its entrance into the lake and its eventual exit from the lake into Struga.